WINONA LAKE – Dave Bliss says there is only an audience of one that he concerns himself with these days. The former Baylor University men’s basketball coach is looking forward to sharing the message of his comeback too. Bliss, who received a 10-year ban by the NCAA in 2005 for numerous violations at Baylor, will be the featured speaker Tuesday night at the NCCAA Championships Banquet. The banquet, which will be hosted by Grace College, will be held at 6:30 p.m. at the Warsaw Community Church. 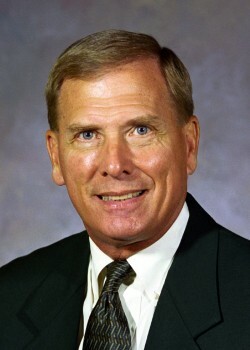 Bliss, who is currently the Athletic Director, Dean of Students and boys basketball coach at Allen Academy in Bryan, Texas, will release his autobiography entitled “Fall to Grace: The Climb, Collapse and Comeback of Coach Dave Bliss” at the tourney hosted by Grace this coming week. The book is authored by Stephen Copeland, a 2011 Grace College graduate. Bliss began his coaching career as an assistant coach for Bob Knight at Army. He then served as an assistant coach for Knight at Indiana from 1971-75. “I loved Indiana and coaching there,” related Bliss, who played both basketball and baseball at Cornell. “It was just the perfect time and the perfect fit for coach Knight and us to coach there. I learned under the best. Coach Knight was the best at recognizing someone’s abilities and then getting the most out of them. Bliss coached at Oklahoma, SMU and New Mexico before guiding Baylor from 1999-2003. Bliss, who won 525 games, resigned at Baylor in 2003 after it was revealed that he made illicit tuition payments for players and also tried to cover up his own role by portraying Patrick Dennehy as a drug dealer. Dennehy, a player at Baylor under Bliss, was murdered by teammate Carlton Dotson in the summer of 2003. Bliss also lied to NCAA investigators about violations at Baylor. Bliss recently led his Allen Academy team to its fifth straight state championship under his coaching. “I’m just a coach at heart and someone who loves working with young people,” Bliss explained. “I love coaching and I love watching players get better. “My point is that there are great things available to young people through sports. Society has really lost track of why we created sports. We are so bent on winning now. God does not care who wins. It’s about things like hard work, team work and perserverance. “I just try to encourage people to get the most our of their opportunities provided by sports. I tell the young people to enjoy their final experiences with their teammates. Tickets to hear Bliss speak at the NCCAA Banquet are available through Monday. Contact the Grace College Athletic Department at (574) 372-5100 (extension 6266) for more details.